The election is over. But the political warfare is set to get worse. A direct consequence of the split-decision election is a deepening of the political divide. Democrats are set to take control of the House, powered by a triumphant left, while the remaining House Republicans and the larger Republican majority in the Senate will be Trumpier than ever. Then comes an indirect consequence: the behavior of President Donald Trump. Between his threats of using intelligence leak inquiries as political retribution, the firing of the attorney general, and his White House’s actions against members of the media, Trump is signaling aggression and acrimony. It’s Trump unbound. Yet, Trump is about to have more binding his actions than ever before: Democrats will soon have the power to compel testimony and force documents into the public realm, and Robert Mueller is finishing up his work. The president is acting as if he’s never had more confidence in his own powers. But those powers are set to be checked as never before in this presidency. President Donald Trump appears with Attorney General Jeff Sessions during the FBI National Academy graduation ceremony in Quantico, Va., Dec. 15, 2017. The national Democratic Party looks ahead, but its next steps are complicated and perhaps unclear. Many of the Democratic candidates who won this week did so by focusing solely on kitchen table issues like health care, pay equity and family leave. During the campaign, House Democratic leader Nancy Pelosi said it was too early to talk the possibility of impeachment; passing new bills was the goal instead. But within hours of Democrats flipping majority control of the House, the president seemed to dare them. 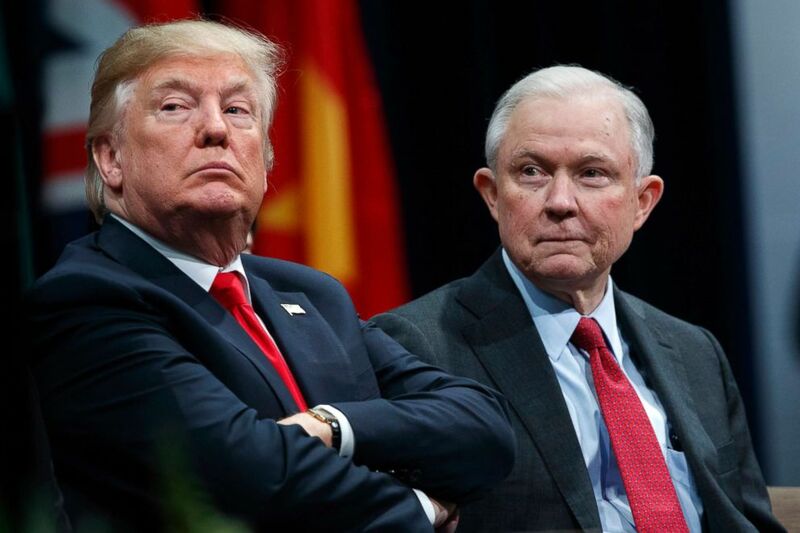 The news that Attorney General Jeff Sessions had been forced to step down triggered fast and furious statements from some Democratic leaders saying that if the president were to also fire special counsel Robert Mueller, it would be considered obstruction of justice and an impeachable offense. Plus, while several House Democrats won by championing a bump to the minimum wage and universal health care, Democratic candidates for Senate lost even after trying to distance themselves from a party that has been tracking to the left. In states around the country, where Democrats flipped more 300 local legislature seats and netted five additional local legislative chambers, the path may be more straightforward. Expect work on health care, renewable energy and maybe more gun control. But on Capitol Hill, it is hard to know which first steps will break through. 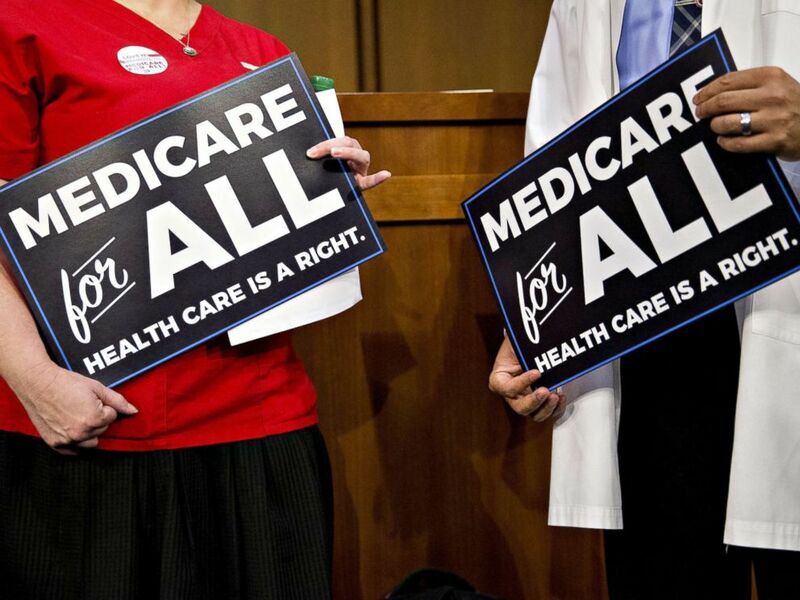 Attendees hold signs while waiting for a health care bill news conference to begin on Capitol Hill in Washington, Sept. 13, 2017. While there are still nine House races not yet projected by ABC News, the current make-up of the 2018 Democratic majority tells us a lot about the state of America's political geography. According to analysis by FiveThirtyEight's Geoffrey Skelley, 75 percent of the districts flipped by Democrats this election were in predominantly suburban districts, and of those districts, 12 were reliably Republican ones that voted for both Mitt Romney for president in 2012 and Donald Trump for president in 2016. As expected, Democratic gains also ran heavily through the 25 GOP-held districts that voted for Hillary Clinton in 2016. According to current projections, Democrats have won 17 of those 25, while five -- all in California -- remain too close to call. Another factoid: Of the 31 seats Democrats have flipped thus far, none gave Donald Trump more than 55 percent of the vote in 2016. Their quest to retake the House was fueled by a strong backlash to the president, and Democrats won in the places where the GOP was holding onto power, but not tight enough. President Trump travels to Paris to meet with French President Emmanuel Macron and attend an event marking the 100th anniversary of the end of World War I on Sunday. This Week on “This Week:" Following the Democratic takeover of the House, George Stephanopoulos speaks with the top Democrat on the House Oversight Committee, Rep. Elijah Cummings, D-Md., and the top Democrat on the House Judiciary Committee, Rep. Jerrold Nadler, D-N.Y., Sunday on “This Week.” Plus, the Powerhouse Roundtable debates the week in politics, with ABC News Senior Congressional Correspondent Mary Bruce, ABC News Political Analyst Matthew Dowd, former New Jersey Governor and ABC News Contributor Chris Christie, Chicago Mayor Rahm Emanuel, and Republican Strategist and Bush White House Political Affairs Director Sara Fagen. The Note has a new look! Download the ABC News app and select "The Note" as an item of interest to receive the day's sharpest political analysis. The Note is a daily ABC News feature that highlights political analysis of the day ahead. Please check back Monday for the latest.